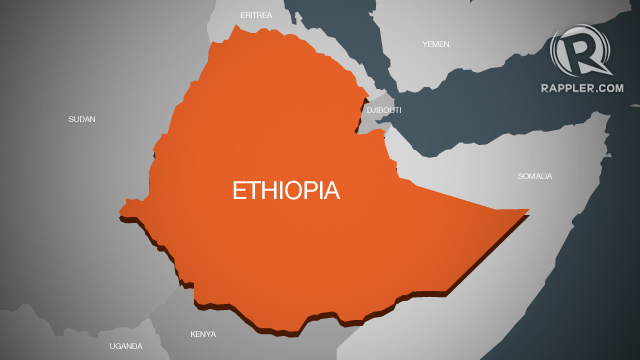 ADDIS ABABA, Ethiopia – African leaders meet Friday, January 30, for their annual summit with conflict topping the agenda, especially Nigeria's Boko Haram insurgents, as well as efforts to stem Ebola. While the official theme of the African Union meeting will be women's empowerment, leaders from the 54-member bloc will once again be beset by a string of crises across the continent. Preparatory talks this week ahead of the two-day meeting at the AU headquarters in the Ethiopian capital have seen promises by AU chief Nkosazana Dlamini-Zuma to drum up "collective African efforts" to tackle the Islamists. Late Thursday, the AU Peace and Security Council called for regional five-nation force of 7,500 troops to deploy to stop the "horrendous" rise of the insurgents. More than 13,000 people have been killed and more than one million made homeless by Boko Haram violence since 2009. Leaders are also expected to elect Zimbabwe's President Robert Mugabe to the organisation's one-year rotating chair, replacing Mauritania's President Mohamed Ould Abdel Aziz. Mugabe, a former liberation war hero who aged 90 is Africa's oldest president and the third-longest serving leader, is viewed with deep respect by many on the continent. But he is also subject to travel bans from both the United States and European Union in protest at political violence and intimidation. With over a dozen elections due to take place this year across Africa, the focus at the talks will also be on how to ensure peaceful polls. The Institute for Security Studies, an African think-tank, warns that "many of these are being held in a context that increases the risk of political violence". Wars in South Sudan and the Central African Republic -- both nations scheduled to hold elections -- as well as in Libya are also due to draw debate. South Sudan's warring parties met Thursday in the latest push for a lasting peace deal, with six previous ceasefire commitments never holding for more than a few days -- and sometime just hours -- on the ground. Tens of thousands of people have been killed in more than a year of civil war, with peace talks led by the regional East African bloc IGAD due following the summit. Also topping the agenda is the question of financing regional forces, amid broader debates on funding the AU, a thorny issue for the bloc, once heavily bankrolled by toppled Libyan strongman Moamer Kadhafi. African leaders will also discuss the economic recovery of countries affected by the Ebola virus, setting up a "solidarity fund" and planning a proposed African Center for Disease Control.